Be a fashion designer! 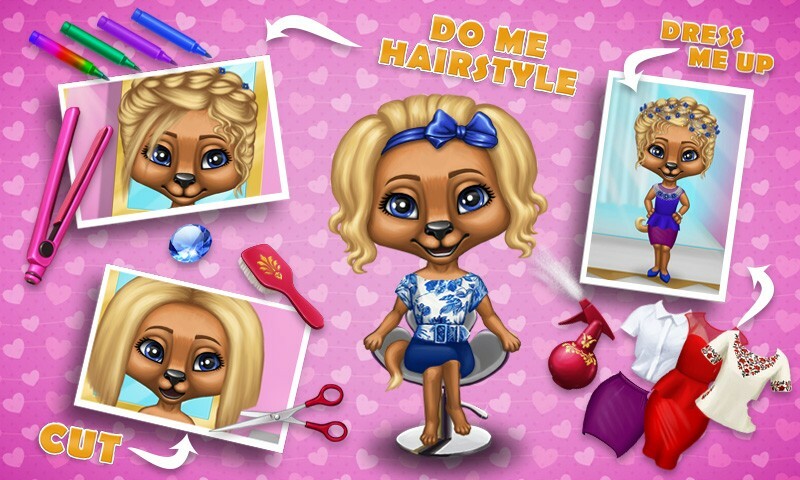 Do hair styling, makeup and clothing dress up with Bella, Daisy, Lola and Sophie! Help the girls to be the most beautiful they can be. They love to be in trend, so help give them fabulous hairstyles by dying, cutting & styling their hair. Be creative and create a custom look for each character! Lola the Dog wants to have a new, beautiful classic hairstyle. Cut her hair, braid it, and then dress her up with a luxury tiara and necklace. Make Lola's eye makeup the color you like! Bella the Raccoon needs help with her new hip-hop look to be in fashion. Wash her hair and dye it a new color. Add hair extensions and dye them as you like! 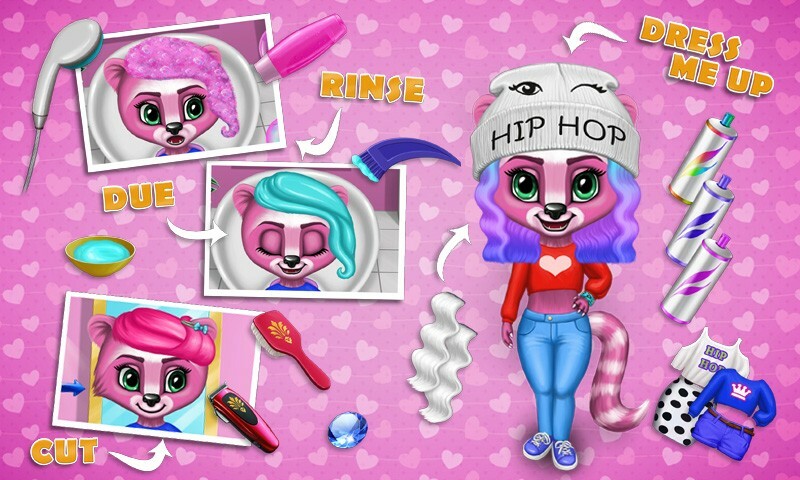 Complete her makeover by adding a cool hip-hop cap! Sophie the Panda dreams of having a Hollywood image. Help her create it! Cut, wash and dye her hair, then do her eye makeup however you want! Daisy the Cat wants to have a modern and wild style. Cut and wash her hair, then dye it in a new color. Customize at your will! Finish the makeover with a brand-new nose piercing! Play dress-up games with tons of clothing and accessories for our lovely animal friends. Craft their own unique style from dresses, sweaters, shoes, handbags, skirts, jewelry and much more! 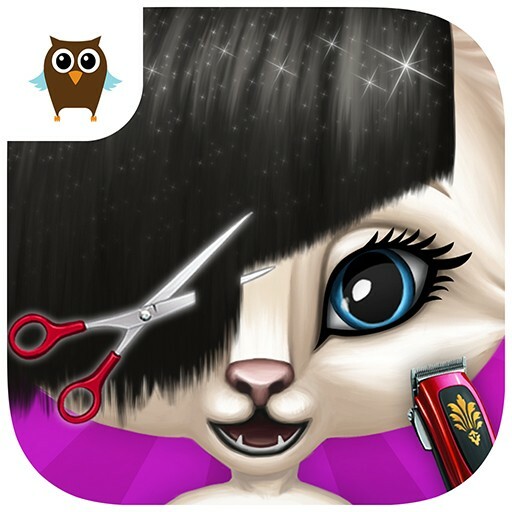 Create a new image for fashion animal girls every day! 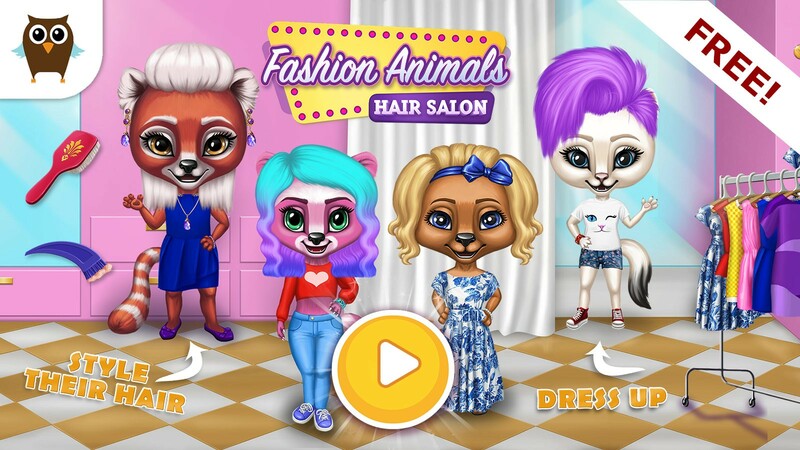 Hairstyle, dress up & makeup with 4 fashion animals! Classic hair styling & makeup with Lola the Dog! Punk & wild style with custom hair dye for Daisy the Cat! 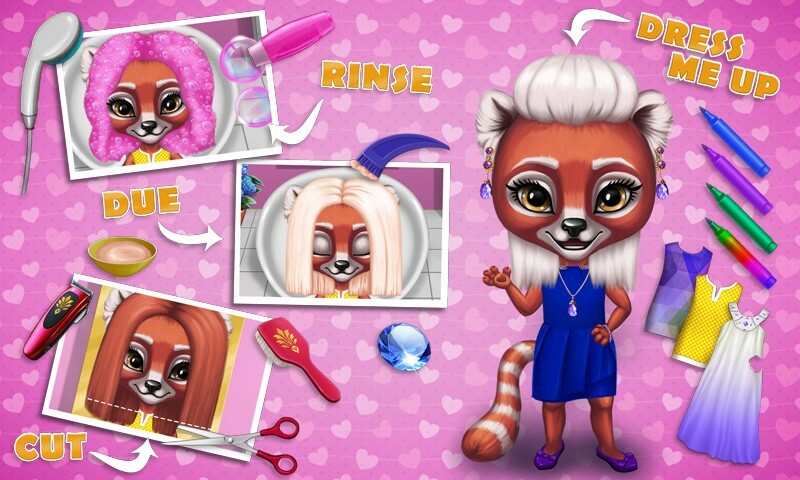 Slick hairstyle & makeup for Sophie the Panda! 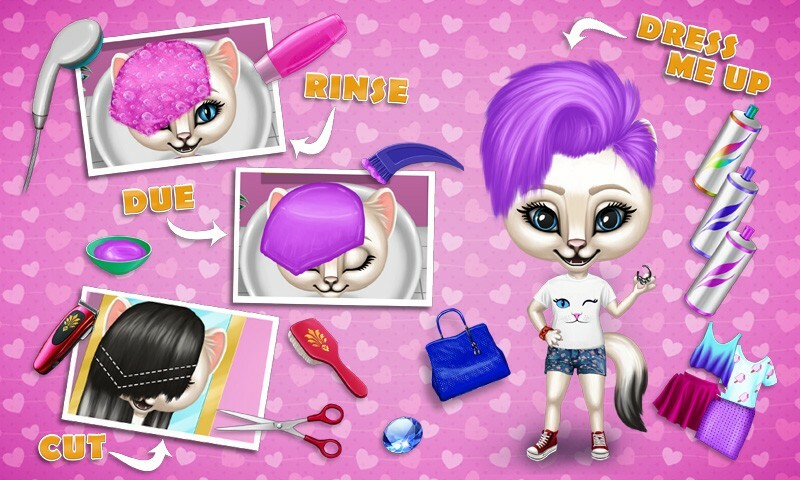 Modern hip-hop style with custom hair dye for Bella the Raccoon! Four dress up games where you can create your own style for each character! 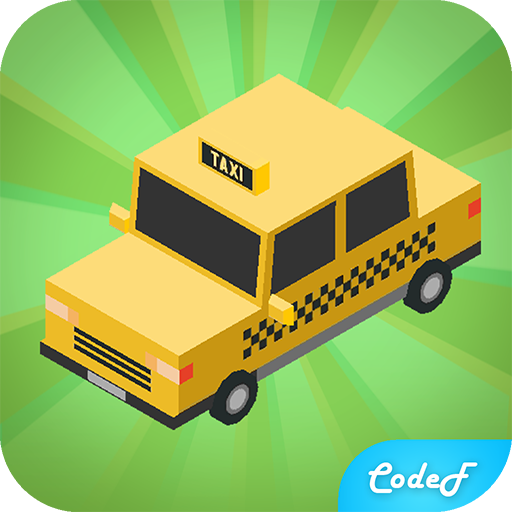 Collect all the fashion animals photos & watch videos for kids!